Walter Arthur “Butch” Kelso, III died peacefully on February 6, 2019 at Kindred Hospital in Webster. He was 77 years old. Born in Galveston on June 26, 1941, he was preceded in death by grandparents Mr. and Mrs. Walter A. Kelso Sr. and Mr. and Mrs. Herman A. Bornefeld Sr and parents Lt. Walter A. Kelso, Jr. and Barbara Bornefeld Kelso. He received the nickname “Butch” from his father and members of the 19th Bomb Group during his only time with his son prior to deployment to the Philippines before United States entry into World War Two. Mr. Kelso is survived by his wife Judith D. (Kobarg) Kelso, son Mark A. Kelso Sr. and wife Jennifer, grandson Mark A. “Drew” Kelso Jr., and cousins Alvin N. “Kirk” Kelso Jr., John W. Kelso, Rai Elizabeth Kelso Thompson, Lawrence D. Kelso, Bruce K. Bornefeld, Marianne Bornefeld Martin, and Betty Bornefeld Nicole, along with numerous devoted family and friends. 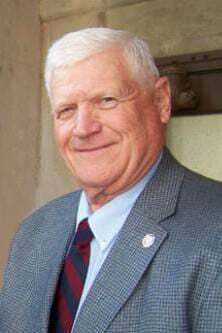 Mr. Kelso graduated from Ball High School in 1959 and Texas Christian University in 1964 with a Bachelor of Education. After completing his education he came home to Galveston and worked for the University of Texas Medical Branch as Assistant Director of Purchasing. While pursuing his career he served his community as a deputy in the Galveston County Sheriff’s Department from 1961 through 1985 attaining the rank of Sargent. He also graciously gave his time in service to his community of faith by serving on the Vestry of Trinity Episcopal Church and The Education and Excellence Committee at Trinity Episcopal School. 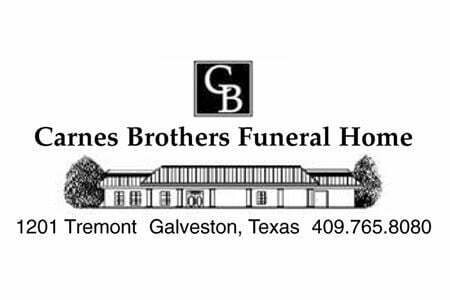 The family will host a visitation on Tuesday, February 12, 2019 from 6:00 p.m. to 7:30 p.m. at Carnes Brothers Funeral Home located at 1201 23rd Street in Galveston. The funeral service will take place at Trinity Episcopal Church on Wednesday, February 13, 2019 at 10:00 a.m. located at 2216 Ball Street in Galveston with the Reverend Susan Kennard and Reverend Edward Thompson officiating. Following the memorial service, a reception will be held in Upstairs Eaton Hall at Trinity Episcopal Church. A graveside service at Galveston Memorial Park will follow the reception. Pallbearers are John W. Kelso, Scott A. Kelso, Luke T. Kelso, Zachary Williams, David Opperman, and Paul Opperman. Honorary Pallbearers are William S. Cherry, Bruce K. Bornefeld, Raymond Jarl, George “Gig” Goodenow, E. Douglas McLeod, Gus Opperman, and Cruz Cortez. The family requests memorial be sent to The Kelso Memorial Library Fund at Trinity Episcopal Church, The Education and Excellence Fund at Trinity Episcopal School, or the charity of one’s choice. The family would also like to thank the medical staff at The University of Texas Medical Branch and Kindred Hospital in Webster for the outstanding professionalism and care during his illness.